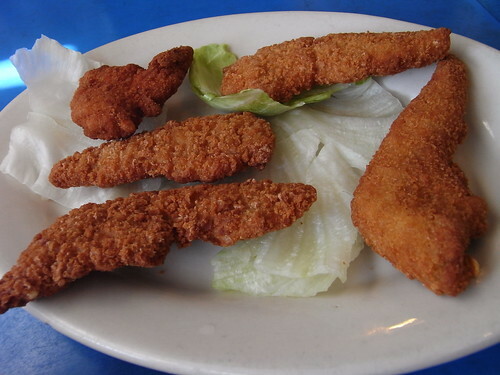 Mmmm, chicken fingers... The BLT wasn't so bad either. Looove the blue tabletops. Nice to have a diner on our block. haha, interesting presentation. those look like some delicious dedos de pollo. I wonder what makes them think that steaming them on top of some really ugly iceberg lettuce is the way to go?